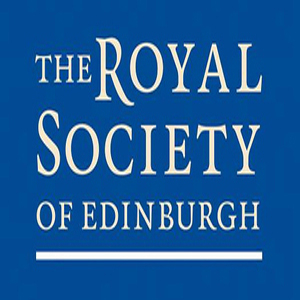 This project is funded by a Royal Society of Edinburgh Research Network Award for the Arts and Humanities. Its aim is to provide a forum for historians and other researchers to engage with police and criminal justice practitioners in Scotland, with a view to sharing and enhancing mutual knowledge and research agendas. By considering criminal justice issues in historical perspective, the project seeks to develop research on the history of policing and criminal justice in Scotland in ways that will (a) place the Scottish experience in a comparative transnational context and (b) inform debates about current policy. Therefore, while the project’s research agenda focuses on the history of criminal justice in Scotland, its intellectual and practical aims are much broader. The project is organised by Dr Murray Frame (School of Humanities, University of Dundee), Professor Nicholas Fyfe (Director of the Scottish Institute for Policing Research) and Dr Anja Johansen (School of Humanities, University of Dundee), with the research assistance of Samantha Bannerman. For further information or to be added to the project email list, please contact us using the comments section below. The network is a collaborative initiative between the School of Humanities, University of Dundee, and the Scottish Institute for Policing Research. Our other main collaborators are the Scottish Police College and the McManus Galleries. PhD research examining institutional/operational changes in the City of Edinburgh Police during the Second World War. Hello, I would like to be added to the project email list. This is an area of interest for me, currently working as a police officer and studying a diploma in policing. Hi Claire, I have added your details to the mailing list. Welcome to the site! You may be interested in some of our events due to your studies so we will be sure to keep you posted. Hi John, I have added your details to the mailing list. Welcome to the site! Hi Kevin, thanks for your comment. The site will develop with the project so there should be plenty to comment on. We will continue to add resources here so hopefully you will find these useful. Welcome to the site! Hi, I am currently completing a PhD on the policing of prostitution in Edinburgh and Glasgow 1900 – 1939. This sounds like a very interesting and useful project, please can you add me to the email list. Many thanks. Hi Louise, welcome to the site! I have added your details to our mailing list so you should be kept up-to-date. Thanks. I am a retired police inspector from Northumbria and in the final stages of my PhD which revolves around an oral history project of the life stories of 36 former constables performing duty, and the changes they encountered, in the period 1947-1968 in a small borough police force (South Shields) in England. Please add me to your mailing list. Police history seems to be a sadly neglected part of our social history. I am approaching the final stages of my PhD which uses the life stories collected in an oral history project to assess the changes experienced by constables in a small borough police force (South Shields) between 1947-1968. I’m a mature student with Teesside Univeristy and a retired police inspector. Please add my details to your mailing list. Thanks for visiting our page; I’ll ensure you’re kept updated! Best wishes with the PhD, it sounds fantastic. You could add to the Bibliography more recent articles by David Barrie, in Law and History Review (May 2012) and Urban History 37/1 (2010). I think I’m already on the mailing list, and will return to this site as it develops, as it will be really useful. Thanks for visiting and recommending the Barrie articles, we always appreciate suggestions for related reading material! I work for an ACPOS working group called the Scottish Women’s Development Forum, could you add me to your mailing list please? We have added you to the mailing list and will be in touch in due course. ‘The Development of the New Police in the Scottish Borders c. 1840-1890’. Unpublished PhD thesis, The Open University, 2008. Thanks for visiting the site. We will add you to the mailing list and keep you updated with our future events. ‘A Tale of Two Cities: Concerning the Robbery in July 1811 of the Paisley Union Bank at Glasgow; and also Reflections on the New Police of Edinburgh and Glasgow and on the Habits of the Early Detectives, with Implications for the Modern Police Service.’ (Musselburgh: Turlough, 2012). Secondly, my previous (and rather brief) email was a request to be placed on the mailing list. I’m a retired police officer reading part-time for a PhD at the University of Edinburgh ands my interests relate to the organisational and operational demands in the City of Edinburgh Police during the Second World War. Thanks for these bibliography suggestions and for your comment. We will add you to the mailing list and make sure you are aware of our future events in due course. Would like to be added to the mailing list please!! Thanks to all for your comments and for your suggestions for new items to the bibliography. It is our hope that this website can become the focus point for information and discussion about the history of policing in Scotland, so all contributions are much apprecaited. Hi. Having previously graduated from Dundee with a degree in History, I am interested in this area and would like to be added to your mailing list, please. Thanks for getting in touch, we have added you to the mailing list. Can I too please be added to the mailing list. I hold an MA in History, am just in the process of completing my MSc in Criminology and am a serving officer. As a result I am keenly interested in all research involving the history of policing in Scotland. No problem, your address has been added. Hi, I was wondering if I could be added to your mailing list as I am currently in my honours year of my BA Criminology and Sociology. My dissertation topic is ‘The Impact of One Scottish Police Force on the Policing of Rural and Deprived Areas of Scotland’. I was a police officer when the current eight police forces were created and therefore I have and interest in how policing has developed since then. No problem, thank you for getting in touch. I am currently trying to find more information about the Ardlamont Mystery for a documentary about Sherlock Holmes. I don’t suppose you may have come across any images or archive during your research? My grandfather James Duncan joined the Western Australian Police Force in 1892 and retired in 1924 as a Chief Inspector. His police record in Western Australia indicated that he was formerly in the police force in Edinburgh. I am keen to discover if this was a fact and to discover any further information about his history in Scotland. He was born in 1862 in Kincardshire and migrated to Australia in approximately 1890. Thank you in anticipation of a positive response. I set up the (former) Fife Constabulary Museum, way back in 1995-6. Nice to see so many of the Fife artefacts in the exhibition! I am the Special Constables Co-odinator for the division within Police Scotland formerly known as Tayside Police. I am involved in the recruiting of Special Constables but also full time officers and although I am now a member of police staff I was a police officer in Dundee City and Tayside Police before retiring after 30 years’ service in 2003. The history of policing is part of my initial presentation to new recruits and any pertinent information is of value to me. It was good to see that your exhibition confirmed that police forces were established in Scotland before Robert Peel formed the Metropolitan Police. My research shows that the first police force world wide was Paris in 1667 and the first legislation I can find about ‘Specials’ in Britain was in 1831, but I am interested in any other information obtained in relation to the history of the ‘Specials’. I am also interested in the origin of the title ‘Special Constabulary’. Sounds like a fascinating undertaking. please add me to the mailing list. Hello Dave, thanks for taking the time to visit the website. Please do keep in touch with regards to your research on the Northern Constabulary. Due to various constraints it was an under-research area of this project, but it is hoped that future research relating to this project will remedy this. David Smale, ‘Alfred John List and the development of policing in the counties of Scotland, c. 1832-77’, Journal of Scottish Historical Studies 33.1, 2013, pp. 52-80. Thank you Davie. I look forward to reading it. I am a Trustee & co-founder of the Scottish Police Memorial Trust which built and maintains the Scottish Police Memorial at the Scottish Police College, Tulliallan Castle, Fife. I would be very interested in your newsletter and would ask anyone coming upon information regarding Scottish police officers who have died on duty to contact me with details. Thanks for visiting the site. I have only been checking the site sporadically, apologies for not replying sooner. I will add your email address onto our mailing list. I have some research about Dundee officers who died whilst on duty – I will email this to you now. I completed a PhD on the anti-Irish campaign in Scotland between the wars in 2012. I am now working on a monograph on the subject to be published next year. A substantial part of this relates to the policing of IRA activities in Scotland during the Irish war of Independence and later the policing of John Cormack and the Protestant Action Society during the sectarian disturbances in Edinburgh in the 1930s. I would be very grateful if you could add me to the mailing list. Having read through the posts, it appears that there is significant expertise on hand so I hope that you may be able to help with a question of history and duristriction. I am following a case of that in Dundee in 1880. The suspect worked in Dundee and the crime was committed in Dundee, but the suspect lived in St Andrews as did the arresting officer who was posted in St. Andrews. Were the two forces connected? Would Dundee have started an investigation and, when the prime suspect was known to reside in St Andrews have requested a St. Andrews inspector to pursue a local suspect? On the face of it, there are/were two forces, two duristric tions. Can anybody shed light on the matter?